Outside of the traditional marketing channels of social, media buys, and SEO there are myriad ways to get your brand out there, establish yourself as an expert, and create a revenue stream. Depending on your vertical you may or may not have looked into creating online courses. If you have, great. If you haven’t there are some compelling reasons to head over to the chalkboard and hand out a syllabus. A course gives you the opportunity to establish yourself as an expert on a subject, we all read industry blogs and search out the newest trends we can. So, why not share the information you have. It also lets you control the conversation and monetize it. Financially it makes sense, in 2014 there was $164.2 billion spent on learning and development programs. The need for these programs is there. People are always looking to enhance their skillset. Online courses make it easy to create a recurring revenue stream and have customers engage with you and your branded material on a daily basis. Sharing your knowledge with other professionals or customers is a great way to establish yourself as a thought-leader in a growing segment, many of whom are under 25. Napoleon Dynamite was right “girls only like guys who have great skills.” So, you have these skills, how do you share them? Education has moved beyond the traditional classroom thanks to technology. But, creating your own online course can be daunting, there are a lot of aspects, hosting, quizzes, transaction fees, setting up the course, design. Fortunately, there are several platforms available that can make take the stress away so you can focus on growing your course and your student audience. We’ll take a look at a few of them; Kajabi, Thinkific, Teachable and Ruzuku and examine how they stack up. These platforms all provide hosting for your content, pdfs and video. All of these platforms offer a lot and are great options for an online course platform. Creating a course is only half the battle, perhaps one of the easier parts. The real hardship comes in making the course successful. This requires reaching your audience and marketing to them as well as tailoring content for them. Finding a platform that streamlines this process is going to be key to growth. Every marketer lives by numbers so finding a platform that makes data accessible is a must. Tracking engagement and user signals is key to building out a course and making it successful. Using an email integration for a course platform is essential. Informing your students of fresh content is crucial to their engagement and long term success. This also enables you to track open rates and see what resonates with your audience. That’s necessary for refining courses in different iterations. Beyond collecting engagement data from students there are a number of other features to consider when looking into a course platform. Finding new avenues to reach potential students is key. Not all platforms offer this, but collecting leads from a form fill is a great way to up enrollment. Upselling. After a student enrolls in a course or completes a purchase giving them the option to enroll in other courses at a discount can create additional revenue and showcase new courses to customers. After all, it’s easier to sell something to an existing customer than find a new one. Affiliate programs. These allow you to track referral partners, sales and commissions and, in some cases, provide them with a dashboard that they can log into to see reporting. Drip Content lets you schedule content over time, releasing it based on sign up dates or a fixed date to keep students coming back and checking in. Kajabi definitely has the edge when it comes to marketing. It’s a marketing platform as much as it is a course platform. You can create forms with custom fields to collect data allowing you to capture leads and nurture them into paying customers. This is really a standout feature among course platforms. Kajabi also provides email analytics. You can see how your emails are performing and which ones are opened by your audience. 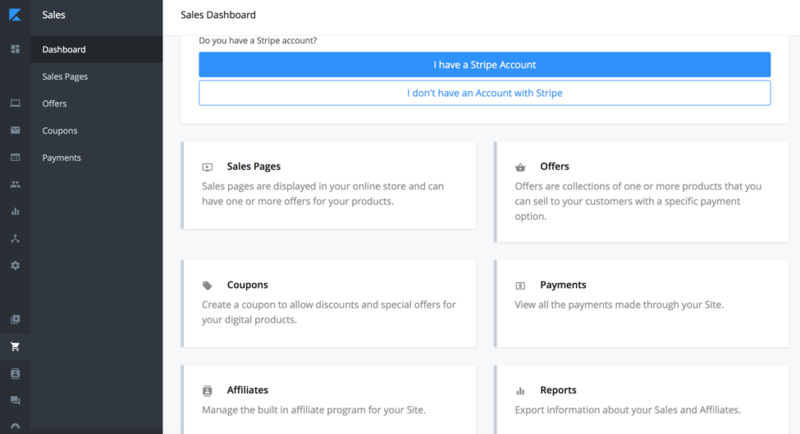 Additionally, Kajabi allows you to create offers and upsell products after a successful purchase as well as affiliate marketing. Thinkific allows upselling and as well as affiliate marketing and integration with marketing tools. One unique feature if the ability to schedule free courses. This lets you generate interest and determine if there’s interest in a course. Teachable like the others on our list offers robust integrations and the ability to offer free courses. Their blog offers some advice on how to use the data gleaned from a free trial to up enrollment. Though it’s a little more complex than some of the platforms that yield this data upfront. Rozuku doesn’t have as many marketing or sales features as the other platforms on the list. The advantages come alive when you already have an active population and you can offer webinars and help students track their achievements. But you’re really on your own for bringing students on board. So, you probably didn’t get into teaching to get rich. At least most teachers don’t. So hanging onto your money is important. When considering costs you shouldn’t just think about what you pay a month for your platform but also consider the transaction fees. Kajabi is on the higher end for monthly costs, offering three tiers ranging from $103/mo to $719/mo.. However, it doesn’t charge any transaction costs other than what Stripe charges. You also get the ability to send out marketing emails and drip content right away. High levels allow access to their affiliate program. Lower tiers limit active members and the number of products that you can host. So be aware, that this is on the higher end of the spectrum, but once there you get a lot for your money. Teachable also is on the lower end for cost, ranging from $39/mo to $299/mo. Though they don’t drop the transaction fee until the $99/mo plan, which is also when you get an unbranded website, so going any lower won’t be an option for people wanting to customize their domain. Again, you get unlimited courses and students with all their plans. Ruzuku doesn’t charge a transaction fee but you don’t get your own domain until you’re at the top tier, which is $125/mo. You really don’t get much at their bottom tier either, so you’d be committing to one of their higher levels of pricing if you go this route. It should be noted that they don’t charge a transaction fee on any of their tiers and all but the lowest offer, unlimited course, students, and webinars. Ultimately there are several great tools out there for those getting into setting up an online course. If you’re looking for a budget solution Thiknific or Teachable are probably the route to go. But if you’re committed to growing your course and marketing it in a unique way and want to customize your site, Kajabi is going to be best for you. Here, you get the same features as the other platforms plus their robust integrations that make selling the course and bringing in students much easier.